"It's the dress that needs to be perfect, not your figure." My name is Marlena and I'm blogging to you from Oslo, Norway. 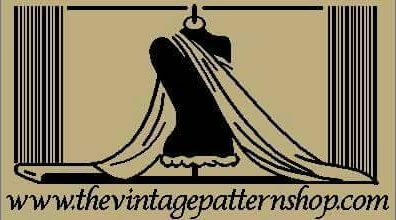 I am pleased to announce that I became an official ambassador for The Vintage Pattern Shop – the biggest seller of reproduced vintage sewing patterns in the world! They have over 3,000 vintage patterns available on their website, so go ahead and check them out!